It has been a general practice for auto manufacturers to denote engine size with designation but in BMW’s case, not anymore. Now if we look at the diesel engines, they are either new or heavily modified. 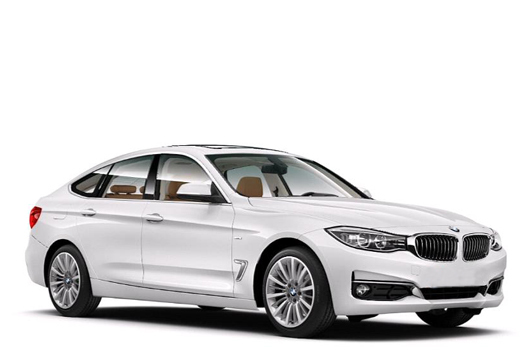 The 320d develops 187.3bhp and from standstill to 62mph reaches in 7.2sec through an automatic gearbox. The 320d ED on the other hand produces just 160.7bhp with same 400Nm torque and proves more frugal. The 330d comes in automatic only and produces 254.3bhp with 5.6 sec for 0-62mph whereas 335d is the range topping and produces 308.6bhp and 630Nm or torque. The 330i which gets 284.45bhp from a 2.0-litre turbo engine, and the 340i which gets 321.4bhp from a 3.0-litre petrol engine and takes a little over 5sec to reach 62mph from standstill. The eight-speed Steptronic gearbox comes standard on all. Well, the styling updates are “subtle”, in a sense that you’ll miss them if you blink. But if you look longer, the chances are pretty good that you might still miss them. Have a look at the front and rear bumpers that host broader horizontal elements, the LED indicators above the headlamps have received slight changes, LED tail-lamps have now the curved light bars. You now have revised optional wheels up to 19 inches as standard and 20 inch wheels as in the accessories. The cabin has also received slight changes like a little touch of chrome and gloss. Cup holders in the centre console get a sliding cover and then you’ll get a storage area for smartphone. The legroom is respectable in the rear. The boot space is 480 litres. The prices start at £24,975 and go up to £56,595 with safety features like ABS, stability control, twin front and side and curtain airbags available as standard.